There’s only a few more shopping weeks left until Christmas, which means December is the time to really buckle down when it comes to deals. You’re going to see a lot of awesome items at a great price this month, but that doesn’t mean you should shop for everything on your gift list. Toys, perfumes, holiday foods and other must-have items are certainly a great buy during this month, but you will want to avoid these ten items if you possibly can. So, make a list and check it twice because you won’t want to pay more for less this December. If you missed out on some of the television deals for Black Friday and Cyber Monday, then you might be out of luck for a little while. Sure, December will still hosts some deals because they want to continue on with their sales during the shopping rush. However, you won’t find a deal that will actually save you huge on the price tag of your TV. If you absolutely have to have a television for the holiday season, then shop around wisely. Otherwise, you may want to hold out and see what January brings to the table. Typically, you will find some of the best deals of the year right around the Super Bowl as many people want the best possible picture to watch the game, especially if their team is playing. This means you will only have a few weeks to hold out. Sometimes, newer models hit the markets too, so you might be able to get your hands on the 4K TV that you want. Many people begin to think about their New Year’s resolution in December, which often means wanting to order a gym membership to help you reach your goals. During this time, most gyms won’t be running sales because business can be really slow with everyone busy with holiday events with the family. If you want to get the best possible deal, then head to the gym as soon as January rolls around. The gyms will bank on people flocking in to buy a full year’s membership in order to meet their resolution. So, you will be able to find some major savings. You should also wait on gym equipment too, as the same rule applies for these products as well. It’s pretty much hard to escape the commercials for all of the special jewelry that is released during the holiday season. Each jeweler tends to have their own trend that people just can’t get enough of. These items tend to not be on sale throughout the month of December though, so buying one for the holiday season will set you back more than you should pay for it. Most of these items will be discounted in price right after the holidays, so if you can’t live without one of the trends then just wait until they are discounted later on. Other forms of jewelry also maintain their price during the holiday, especially when it comes to diamonds. These are classic gifts, plus many people tend to propose during the holiday season. You should find sales on these items later on in the new year. It seems pretty logical to go out and buy a calendar, so you can plan out your upcoming year. However, if you want to save money then the logical way to go about it is to actually wait until January begins. Sure, it might put you a little behind when it comes to planning the early days in January, but you can always use the excess days that are added to the end of every calendar anyway. As soon as the first of the year begins, you will see prices on calendars dropping substantially. So, this is the perfect time to stock up on calendars and planners of all shapes and sizes. If you’re lacking in winter gear or apparel, then now is still not the time to jump in on this item. Technically, winter doesn’t even begin until late in the month, so finding sales on the items for it will be touch and go. Some stores will try to push some jackets and fashion items, but you probably won’t get to see a huge discount on the price tag. Winter gear like skis, goggles, sleds and more also won’t find huge price cuts either. Your best look for these items will be in March when winter slowly fades out. You might have to wait a little longer for ski and snowboard gear though, as these items are usually discounted when the slopes begin to close down for the year. So be patient and you will be able to grab the top fashion items at a low price. If you’re looking for good clothing deals, then you might want to consider shopping the fall selection, which should be hitting the clearance rack this month. The holiday season tends not to be one of the hottest times for furniture sales, so most stores don’t offer the best deals on these items. If you’re in the market for some new furniture, it might be wise to hold out until January if you possibly can. During January a lot of stores will begin to clearance some of their items in order to make room for the new stuff that will be coming in soon. Some salesmen will even cut you an even bigger deal to help get their sales off to a good start, so they can meet their quotas a little faster. Many stores will also have sales particularly for the beginning of the year as many people want a fresh start and find that furnishing rooms can give them this much needed feeling. If you want to grab some new sheets or towels for your home, then now is not the time to do it either. In January, many stores actually take part in a huge sale called the White Sale, which encompasses all sorts of linens. You will be able to stock up on luxurious sheets, towels, duvets and more for a price that will have your head spinning. Best of all, you can even stock up for next winter with flannel sheet sets and huge knit blankets. Of course, if you love themed items then all of the holiday items will be on sale during this time too. It usually hits the sales rack right after Christmas, but as the month of January creeps in you’ll find these items decreasing in price even more. December is one of the best months to buy toys, there’s no doubt about it. However, if you’re looking for the hottest toys on the market then you may be looking at an entirely different story. These toys generally fly off the shelves, which makes retailers question whether or not they should offer them at a lower price. In most cases, stores will only offer cents lower just to maintain their competitive nature. Some of these toys are so impossible to get that people will begin to sell them at a ridiculously high prices. So, it might be best just to step away from these items. Instead, shop for items you know your child is going to play with for a considerable amount of time. If the child still has a desire for this item, then shop for it after Christmas when they hit the sales rack at a regular or discounted price. If you’re thinking about getting someone a new car for the holidays, then you might want to rethink this high-priced item. During the month of December, sales on cars are pretty low because most people are shopping for other items. You won’t have to wait long to get a new deal though as New Year’s sales are some of the best in the year. You will find some of the newer models on sale as well as used cars that are still in good working order. A lot of salesmen want to start off the new year on a good foot too, as they must meet quarterly and yearly goals. So, you might be able to talk your way into a good deal if you can hold out for just a month longer. You might be tempted to shop until you drop on holiday decor throughout the month of December. It doesn’t matter what holiday you’re shopping for, as the decor items will hit the sales aisle as soon as the holiday is over. However, if you can hold out until January then all of the items you hoped to grab will be in the clearance section. The longer you wait for the item, then the better the chance that you will get it at a remarkably low price. You might even search online to see if your favorite decorative shops have any sales that you can’t pass up too. This will leave you stocked up for next year, so you’ll have all new items to admire. December is a great month for shopping, so make sure to take advantage of the savings. However, these ten items might leave you feeling buyer’s remorse if you go ahead and shop for them this month. Overall, you will be able to save big by waiting, so make sure to take advantage of the items that are actually on sale. With Thanksgiving come and gone, you’re probably already getting in the mood for some Christmas spirit. One of the more time-consuming aspects of this holiday is getting the cards together to be mailed out. Christmas cards can even be pretty pricey if you don’t budget correctly. Luckily, December 9 is actually designated as Christmas Card Day which will give you the perfect time to set aside to get your cards ready to go. These ten tips will not only make your Christmas Card Day a bit easier, but will also allow you to save some money on your holiday greetings. So, get ready to have some fun with your holiday cards to kick off the joyous season. One of the easiest ways to get past spending a small fortune on this year’s cards is to actually pull out the leftovers you had last year. These cards can be used again to help prevent you from having to buy hordes of new cards. Even if you only have a few cards leftover, they can still come in handy. For instance, if you receive a card you weren’t expecting then you can return the greeting with one of last year’s options in order to be polite. This will even allow you to have more leftovers to put back this year, which is certain to make life a little easier when Christmas card season rolls around next year. Sending out portraits of the family or just the children, is quite a trend when it comes to the holiday season. However, spending money on a professional photographer can make your pictures skyrocket in price. Luckily, you can always use your own skills to take your family’s photo. There are a lot of techniques you can use to pull this off, which will certainly help make your holiday picture even more fun. You can even use your personal phone if you don’t have a professional camera to work with. These photos can even be printed at home, or inexpensively at a department store to keep you from spending even more money. During this time of the year, many of the popular photo printing websites offer a wide assortment of freebies to pull in business. Usually, these freebies will just be for a few cards, which won’t help you completely satisfy your entire mailing list. However, if you do take up offers from all of the websites offering freebies then it should help put a dent in the list. You can always send out these higher quality cards to close friends and family and then supplement the rest of your mailing list with a cheaper option. Also, these websites tend to offer free or great deals on photo print outs too, which will allow you to simply slip in photos without having to pay the high price of a printed card. There’s no rule saying you have to use snail mail to send out your cards this year. Instead, you might consider making a digital copy of your card. You can create your own in a pain program, customize a premade card or even decorate a family photo. If you don’t want to put in a lot of effort, then simply scan a card you want to send out and save it as an image. Then, you can email the card or post it to your social media page to save even more time. This method will cost you next to nothing too and will have your holiday cards sent in a fraction of a second. You might consider printing a few cards out for those that may not be tech savvy though. Another problem with the holiday cards is people think they have to send them out to every person they know. There is no set rule forcing you to send out cards to your third cousin twice removed or the person you worked with five or six years ago. So, feel free to cut your list to close friends and family. This will allow you to spend the bare minimum on your cards and will ensure those closest to you will receive your greetings. This will also cut back on the amount of time you spend thinking about what to say to those you never see. Before long, you won’t want to add new people to your list as this method of dealing with Christmas cards will add tranquility and fun to the process. Another simple option is to consider post cards opposed to actually mailing out full sized cards. Postcards are very simple to make and will cost you less when it comes to supplies. Of course, you can also buy postcards at many retailers, which will also cost less than the card option. One of the best things about mailing out postcards is they actually cost less money. You can go to the post office and purchase a special stamp for these cards, which is certain to put even more money back into your holiday fund. Postcards can be great if you plan on traveling this year too, as you can share the location your family is enjoying with friends and family. Even if you can’t find a festive postcard, you can always use your artistic skills to make them look festive with basic craft supplies. For many families, making your own cards is a holiday tradition that always pleases. You can easily start this process by using all of your craft supplies that you already have in the household. These supplies can actually go far, even if they simply include crayons and paper. Of course, if you want to go all out then you can find all sorts of holiday sales in your favorite craft stores. As soon as Thanksgiving is over most stores want to clear out their Christmas stock as soon as possible. So, you will see some sales up to 50 or more percent off. You can also add coupons to the mix to help you save even more. If you have children, then you might want to look up fun crafting ideas to help you out. There are lots of cool ideas online and you can always customize them to suit your needs. When it comes to holiday cards, more often than not, the most expensive aspect of this endeavor is actually mailing out the cards. Buying tons of stamps can really cut into your budget and your time, given the length of lines during the holiday season. So, if you have a lot of people living in your own town, or you visit those that live outside the town often, then you might want to make a point to hand deliver the cards. This adds an extra special touch to your cards that will actually warm the hearts of those that receive them. If you have a tight knit community, then you might even consider Christmas caroling as you deliver your cards. This can add charm to the occasion and will bring a smile to a few faces. Plus, utilizing this method of delivery will ensure that your cards won’t get lost in the mail, which is a bit of a relief after putting so much time and effort into them. If you don’t have a lot of time to put into your cards, then you can always look for free options online. There are a lot of templates online that you can print out at no cost to you. This can be one of the easiest ways to get your cards finished up. The best thing about printing cards online is you can easily find a wide variety of cards that suit your needs. If you’re feeling ambitious, then you might also want to print our cards that will suit the recipients needs. Of course, if you still want to add a special touch to the cards then print out black and wide cards and color them yourself. This will add a little fun to the process too and will make each card unique. Some websites will even have matching address labels that pair with your card, which makes a great finishing touch. Without a doubt, one of the best ways to save big on holiday cards is to purchase in bulk. You can actually find huge boxes in bulk stores that will allow you to have cards for a year or more. Of course, these large boxes of cards tend to have very little variety and are more simplistic than more expensive cards. However, if you have a long list of names to supply for then this is one of the best ways to go about it. If you can manage to shop after the holidays, then you will be able to save even more money on this option. Christmas Card Day can be a whole lot of fun if you have the ability to save money on your annual cards. These ten tips should cut back on your budget while ensuring you get to send out the cards that will bring a smile to your loved one’s faces. So, this year, you may want to approach your holiday cards differently, as now you can save lots of money. 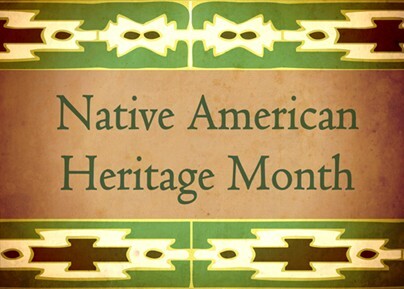 The month of November is dedicated to celebrating the culture of Native Americans. This might be the perfect time to get accustomed with some Native American traditions and history, especially with the Thanksgiving season upon us. You don’t have to spend a lot of money on lessons and other cultural items to really learn and celebrate such an important heritage in our country. In fact, there are many free or cheap ways to help you have a lot of fun learning about the people who populated the Americas before they were even on the map. So, have a little fun this month when you learn about all of the many tribes and traditions that are part of such a remarkable history. One exceptional way to celebrate this month is to actually learn about the tribes of Native Americans that existed before Europeans invaded. If you’ve never seen a map of the tribes before, then you will probably be pretty surprised by how many tribes there actually were. It is also a big of a shock to see how much land they inhabited throughout the year. If you have older children, then you might want to have them memorize a few of the tribes’ locations on the map and talk about the foods and resources that they may have collected based on their area. You might also hone in on a tribe and study one each November. If you have tribes close to you, then it might be cool to learn about them. You may even be able to visit a reservation if they still have one established. Of course, it might also be meaningful to learn about tribes that no longer exist in order to keep the memory alive. In our world, novels from other cultures often get the back burner when it comes to best seller lists or even what we read in schools. So, you might want to go out of your way to find a list of Native American novels you can check out. This doesn’t mean you have to choose a novel about Native American life. Rather, there are so many fiction novels on the table that you’d be surprised by what you may find. There are many Native American authors that love to bring in aspects of their culture into their writing, which can add even more magic to the story they are telling. Of course, you can also pick up non-fictions books if you want to read more about certain tribes or history. There is actually a lot you can learn from a culture based on its music. The cool thing is that each tribe has its own different music to enjoy. Today, we have many ways of enjoying Native American music. One of the easiest and cheapest ways to do this is to listen to streaming music online. Many different streaming services offer a wide variety of Native American music, especially during this special month and the holiday season. You should be able to check out traditional songs, as well as modern Native American music too. You might be surprised as to how this unique form of music has developed over the centuries as well as how beautiful the traditional songs truly are. So, explore around, because you may find something that really resonates with you. Believe it or not, but lacrosse is actually a game that began with the Native Americans. It has been adapted to suit today’s sporting standards, but largely the game hasn’t changed from that which would have been played many years ago. So, this month, you might go out of your way to watch a lacrosse game in person or on TV to learn a bit more about how Native Americans lived and played. If you’re feeling ambitious, then you might want to try the game on for size too. Kids, especially, might want to enjoy playing this game. It may even take the place of football or soccer in their hearts, which can broaden their horizons and allow them to try new ways to enjoy their athleticism. During this month, you may get lucky and find that there is a Native American Film Festival in your community or at least close by. Usually independent theaters, universities and museums try to utilize Native American Heritage Month to show off amazing films from Native Americans. Since we live in a world where Native Americans are more often than not placed into stereotypical roles, these film festivals can be an excellent way to learn about their culture. It is also a way to see how today’s Native Americans feel about their culture. If you don’t have a film festival happening near you then don’t worry. There’s a lot of great films that you can watch yourself or with your friends and family. Many can even be rented online, which will make your life a lot easier. Native American food tends to be overlooked in many places. Largely because there aren’t a lot of restaurants that serve this type of food. Unless you live near a reservation, then you might be out of luck if you’re hoping to try out this cuisine. Of course, there are always recipes that you can try out though. The internet is filled with delicious ideas that will allow you to try out the food that Native Americans are for centuries and even some dishes with a modern twist. You might even want to incorporate one of these recipes into your Thanksgiving meal to add even more authenticity to the dish. You never know, you may find a new dish that will make the rounds on your holiday table every year. If you would really love some insight into Native American life and culture, then one of the best ways to do this is talk to a tribal leader. If you live near a reservation, you should be able to make an appointment to talk with a leader. Generally, people are very open to questions, especially when they’re coming from an inquisitive mind. You might write down questions you have about culture and history before going in. This is a great assignment for children too, as it will allow them to learn how to talk to people from other cultures while showing respect for their heritage. You may learn a lot about modern tribal life from this experience, which is why it is one of the best ways to celebrate the heritage month. During this time of the year, you are more likely to run into a Native American Festival. This is one of the best ways to learn about tribal life and see some of the customs and traditions that Native Americans still practice today. Sometimes, tribes will make an appearance at autumn festivals, so you might look around to see what is on the menu when it comes to your local festivals. If you can’t find a festival nearby, then many festivals will record their performances and lessons to share with those who can’t make it. These videos can be found on popular streaming sites as well as the websites and social media pages dedicated to the specific festivals. Art is a major part of Native American culture and it comes in all shapes and sizes. One of the more common items purchased is hand woven blankets. These make a nice addition to any home for functionality or simply beauty. Handmade pottery is also a great option which can be used in the home or put out as a display. Of course, there are many other forms of art like jewelry and painting that can be purchased to support Native Americans. You might even look up modern Native American artists to check out artwork that has roots in the past, but still offers a contemporary twist on the culture. Purchasing art work doesn’t just help support Native Americans, but it also preserves the culture so future generations can also treasure it. One of the best ways to celebrate this month is to actually pass down your knowledge about Native Americans. Through the years, tribes have been thinned out and their future is always in question. So, learn as much as you can about Native Americans and make sure to spread this knowledge to your children. There are even child-friendly websites that will allow you to teach children more about Native Americans. Apart from that, you can also work to learn a language or craft from the culture. By picking up some knowledge on at least one tribe, you are helping to preserve Native American culture. Native Americans have played a crucial role in the success of our nation. It is imperative to show them the respect and compassion that they deserve. This month, you may want to take a little time to help celebrate their culture, so that future generations will be able to have the same luxury. These methods of celebrating won’t cost you much, so there won’t be anything holding you back. Black Friday and Cyber Monday are just days away and you can probably already feel the excitement in the air. 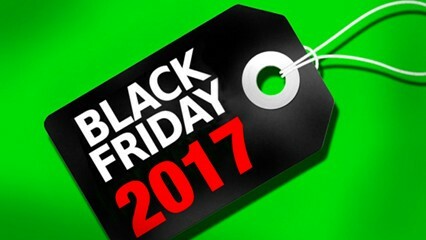 Every year, Black Friday and Cyber Monday helps shoppers find amazing deals on the products they desire. However, there are actually a lot of deals that are for the birds. In order to help you avoid some of the duds, I have compiled a list of ten items you should keep your eye on during the big sales. These items should help you to save the most while improving your shopping experience online or in stores. So, get your good running shoes ready or access your favorite websites, because the biggest sale of the year is ready to make your holiday list disappear. You have probably already guessed that new televisions would be on the list, since Black Friday is one of the best times to get an extraordinary deal on a TV. This year will be no exception, especially with the new 4K TVs on the market. Kohls and Target are going to be two of the best options when it comes to variety, so you might do a little research on the TVs that they offer to see which store you’d like to spend your time at. Of course, if you’re looking for the new 4K TVs then Best Buy is offering a $500 discount on one of their models and Walmart will also be reducing one of their 4K TVs to around $300. Also, if you use your Walmart app to pay, you should get an even greater discount. Plus, you won’t have to stay in the insane Black Friday lines. Amazon will also have an assortment of televisions for sale, but you have to be fast because these deals disappear in the time it takes to refresh a page. Amazon products are going to be another huge deal on Black Friday and Cyber Monday. Of course, you will mainly see the deals on Amazon, but stores like Target and Staples also have some rights to the deals too. So, if brick and mortar shopping is your thing, don’t forget to check out these stores to get some amazing deals in your own neck of the woods. You can already see some of these deal on Amazon’s pre-sale, so if you don’t want to miss out on the deals then shopping ahead might be a wise idea. You might also find the best deals on bundles as this year you can get a whole set of amazing Amazon products to make your home run like a well-oiled machine. If you’re in the market for a laptop then now is the perfect time to check out the deals. In fact, you can already find some great deals on Amazon and Walmart if you can’t wait until the deals begin. Of course, if you can wait then you’re sure to find some amazing flash deals that are certain to help keep the whole household happy. You should probably do some shopping around to see what deals strike your fancy. This should help you find the perfect laptop quickly, so you won’t miss out on the deal of your dreams. Apple fans won’t want to miss out on Black Friday and Cyber Monday. You will be able to find an assortment of Apple products on a variety of websites, so you won’t have to look far to find a good deal. Of course, Apple will also have a lot of amazing deals to offer for those shopping in their stores and websites. Some of the products you should be looking out for are older model iPhones. These will be a remarkably low price which will allow you to upgrade without paying a lot of extra money. You may even be able to find a great deal on the newer iPhone if you act fast enough. Walmart plans on offering some great deals on Apple products too, which is perfect if you will be shopping there anyway. The day after Thanksgiving tends to mark the Christmas season for many, so it’s no surprise that there will be some great deals on Christmas trees on Black Friday. Lowes, for instance, will be offering seasonally low price on their stock of trees. You can find both artificial and real trees at clearance prices, which should help you get decked out for the holiday season. Other stores will be offering similar details in hopes of boosting their sales for the season. Of course, if you are buying a real tree be wary that it may not make it to the actual holiday. There are special care techniques you can use, but you still might want to hold off. If you have little ones in the home, then now is the time to stock up on all of the things you need. For instance, a lot of retailers will be selling diapers and wipes at a great price during Black Friday and Cyber Monday. You might want to look at your favorite brands and see if they’re offering deals that will suit your needs. Of course, keep in mind your child’s potential weight gain over time before you stock up on one size. Some retailers will even knock down prices on nursery furniture, must-have items and even a few things for parents. So, be on the look out in baby departments, especially when it comes to online deals. Children’s ride-on toys are one of the top sellers this year, especially since the new designs suit more pop cultural references that children actually enjoy. Your child can pretend to be Batman in the Batmobile or drive around the block in a Star Wars racer. Of course, you can also follow the more traditional route; such as, Barbie cars, jeeps and even monster trucks. These ride-ons tend to be expensive, so if you want to give your younger kids something to celebrate then you might want to check out the Black Friday and Cyber Monday deals. These items should be marked down considerably, which will make Santa Claus very happy. Of course, like most things, you should shop around ahead of time first, so you can easily visit the store that sells the ride-on of your child’s dreams. If you have your eye on a pair of new earrings, then this is the time to buy them. Better yet, it is the time to buy jewelry as a gift. During this season, a lot of jewelers will actually come out with new items specifically for the holiday season. You should be able to find these at a great price on Black Friday. Of course, this isn’t the only option to choose from when shopping for jewelry. Classic cuts and traditional designs will also be discounted. Some stores will even take a big price cut off of diamonds. If you plan on proposing or getting married then now might be the time to shop, especially since wedding season is out. Of course, you can always just upgrade your current ring set if you want to enjoy a pricier set without having to spend as much money on it. This season has a lot of hype when it comes to gaming consoles. With new Nintendo devices on the market and the new XBOX hitting the market a mere couple of weeks ago, it will be tough to say no to even a small discount on these hot items. Although sales aren’t looking too great for these items individually, you will actually find some awesome deals on bundles. There are lots of bundles that include accessories and games, which is certain to make the holiday even more magical. If you don’t have the console yet, this might be the best way to enjoy it. Even upgraders can take advantage of deals like this, especially if some of their accessories might be getting old. You may want to do a little research on the various bundles though, because each store will have their own selection and price. You might not think about upgrading your home appliances on Black Friday, but this could be the best way to give yourself an amazing holiday gift. A lot of stores will offer huge discounts on these items. You may even find discounted prices on some of the newest models. Stores, like Sears, will be offering up to 40% off of some of their items. This can really help make your dreams come true when it comes to making your home spectacular. You can even shop online for these items as a lot of stores that offer local branches won’t charge shipping if you spend a certain amount of money. So, give yourself a gift that will keep giving this year by scoring a great deal. You may even look at the discounts on bundle pricing to really escalate your home’s value. Black Friday and Cyber Monday can really add some fun to the holiday season. However, if you don’t know what to look for, you might end up buying anything that strikes your fancy. These ten ideas will help you make a game plan, so you can get the most out of your shopping experience. Friendsgiving has grown in popularity over the past few years. This occasion is a great time to give some good, quality time to your friends. This can be an important time for many groups of friends, especially since the next few weeks tend be spent with close and extended family, which might not leave a lot of time for those you tend to spend more time with in your everyday life. Friendsgiving doesn’t mean that you have to spend even more money to celebrate during this already busy time of the year. There are actually a few tricks to help make your Friendsgiving a blast without amping up the budget. So, enjoy an occasion with friends without having to deal with the typical holiday fiascos when you keep these ten tips in mind. If you’re hosting your Friendsgiving celebration after Thanksgiving Day, then you’ve already done yourself a huge favor. You can easily use some of your traditional Thanksgiving leftovers to make a boatload of exciting new dishes. There are so many ways to do this, so if you’re not sure where to start then you might want to begin by looking online. You might also want to try to come up with some of your own ideas that might be repeated year after year. If you’re celebrating prior to Thanksgiving, then you can still use some of your typical leftovers to make new dishes. They may not be as festive, but no one will mind because they’ll be having so much fun. When it comes to hosting a Friendsgiving, you don’t have to put all of the work on yourself. Your friends won’t mind pitching in, especially since most will know how much work goes into hosting such an event. So, you might want to make your invitation a potluck occasion. Of course, in order to organize the event properly, you might ask people to bring certain dishes or have them report to you about the dish they will be making. This will help prevent people from bringing several of the same pie, or having a dinner table filled with sides and no main course. Potlucks are a great way to learn new traditions too, which will help everyone learn more about each other. You should also make sure some people are bringing drinks to the event too. You can even request everyone bring a bottle of wine to help make the occasion a bit lighter. Hosting a party can be tough, especially when you’re bringing a bunch of different people together that might not know each other as well as you would hope. One of the best and cheapest ways to get rid of awkwardness is to pull out the games. Cards are one of the easiest ways to break the ice and can make your party last from the afternoon until late into the night, because everyone will be having so much fun. If you’re really into livening things up, then a game of charades can keep people laughing for hours on end. Board games are another option that usually keeps a surprising amount of people happy. Of course, you can also look up classic Thanksgiving games to make the party even more festive or to add a fun twist on some of your favorite games. Adulting is hard, which is why a lot of people might be happy just to sit around and binge watch some shows or movies during your Friendsgiving celebration. Of course, if you have friends with similar interests, then this option is probably always on the table, because it’s so hard to keep track of all of your favorite shows on your busy schedule. So, make a plan to binge watch a show or two while you all pig out on good food and enjoy each other’s company. If you’re good on shows, then there’s always an assortment of holiday movies to binge watch to help everyone get into the spirit of the season. Although you probably plan to have a traditional Thanksgiving meal with family this year, this doesn’t have to spill over into your Friendsgiving plans. Instead of having a turkey and other autumn favorites, you might decide to follow the crowd’s cravings instead. For instance, you can easily have a taco night that everyone will appreciate. Ordering some pizza is also a great option. As long as you have fun with your friends and show that you’re thankful to have them in your lives, then you’re already having one of the best Friendsgivings around. You might even add some traditional foods to this mix like turkey tacos, or a Thanksgiving pizza. One fun way to kill the time at your Friendsgiving is to have everyone get together to make some crafts. This can be a fun thing to do while you’re waiting for the meal to finish up, as you can easily put a project down to eat or prepare more dishes if you need to. There are lots of crafts you can do during this time, including scrapbooking. You might also want to get a jump start on some holiday crafts. You can easily make these to give as gifts for this season too, or you simply might want to work on holiday décor. If kids are present at the celebration, then there is a wide assortment of cheap and fun crafts to help them with. You might also print out coloring sheets to help keep them busy while the celebration continues. If you’re not sure which crafts to do, or which will be budget friendly, then look online for a few ideas as you’re bound to find a few crafts you’re going to fall in love with. This time of the year is the perfect time to warm up your pipes for holiday caroling. If you and your friends love to sing, then break out the instruments and get ready to belt out some of your favorite songs. You can even carol around the neighborhood to add even more fun to the occasion. This should help get everyone in a festive mood and will add a touch of charm to your celebration. Of course, you can always sing your favorite pop sings as well just to keep the vibe going. If you’re feeling creative, then add festive lyrics to your favorite chart toppers and have your friends sing those songs. You can even make a competition out of it to see who can get the most creative. Making desserts for Thanksgiving can be a real headache. Items like pies and special cakes can take up so much time and concentration that you might not want to bother with them twice. Not to mention, they can really cost a fortune to make. Instead of putting yourself through this trouble twice, you might want to keep things simple. For instance, just make some cookies for dessert. You can even have guests decorate them to add to the fun. Apart from that, you might also consider just candies. These items can all be sent home as party favors too, so you won’t be too tempted to each a lot of sugar in the days after your celebration. If you want a little help getting your holiday décor up and running, then now is the perfect time to do it. Your friends will probably have a blast helping you decorate, which will also help everyone else get in the spirit of the season. You may even have your friends make a special ornament to go on your tree, which will help everyone remember the special occasion. It is fun to see what everyone comes up with, as far as the decorations they create, and where they end up putting them in the home. Above all, this is a great bonding experience that will help everyone leave the party with a smiling face. Many Friendsgivings actually end up being adult oriented, which tends to mean drinking is involved. You don’t have to fret about the high cost of some alcohols though. There is actually many drinks you can make that are actually quite light. This can really come in handy if your party is in the day time and people can only have one or two drinks before they need to sober up to head home. Light drinks also prevent any problems that might occur from heavy drinking. So, look around for light recipes that will help stretch your budget farther, while keeping your guests satisfied and safe. 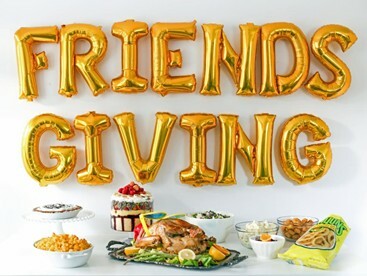 Friendsgiving can be one of the best holidays to celebrate during this time of the year. It is important to spend special occasions with those you love, even if they aren’t your family. So, kick back and have an easy going Friendsgiving that won’t leave your budget wondering where you went wrong thanks to these ten celebration ideas. November is the perfect time to exercise your kindness. Not only is the giving season upon us, but we also have two holidays based around being kind. That is National Kindness Day on November 13 and National Philanthropist Day on November the 15. A lot of people think that kindness has to do with spending money on other people or even donating to charities. This isn’t the case at all though. As a matter of fact, there are so many things you can do over the week, the entire month or even a full year that will show the world your kindness. If you’re not sure where to start, these ten tips will help you out. Volunteering at soup kitchens and other charities can be an amazing thing to during the month of November as well as the rest of the year. However, a lot of people think that since Thanksgiving is holiday, it is the perfect time to volunteer. This is a major problem because more often than not, most soup kitchens are full of volunteers on the major holiday. This can lead to over cramping and problems that actually slow down service. Rather than give up time with your own family on Thanksgiving, you might try donating food to be served on the big. Then, come back at a later date to work for the soup kitchen. Usually, the days following a holiday people are needed in high volume because most people feel they did their service on the holiday itself and don’t come back to volunteer again. It doesn’t matter what community you live in, there is always going to be something that needs to be taken care of. There are so many community projects to work on that most community centers are always looking for kind people willing to lend a helping hand. You might be asked to help build homes with charities like Habitat for Humanity, or you may need to help children cross the street after school. No matter what you choose, you will feel amazing after helping out. If you don’t want to go through a community center, then consider picking up trash along the roads or in parks. Keeping your local environment beautiful is a great way to help out the whole community. As the weather begins to cool, it is harder for older people to get outside to work on their lawn. Even some people who are capable of doing so, won’t get out in the cooler weather. So, you might take it upon yourself to help out those who need it. Elderly people are often in need of someone to come rake up leaves, mow the lawn or even clear the driveway and salt the sidewalk. If you choose to do this task, try to concentrate on the areas that might become a hazard if they’re not taken care of. For instance, sidewalks should always be clear and salted when they are icy. You should keep dead branches cut to help prevent them falling on homes, vehicles and even people or animals. Another important thing to do is clear the gutters. This can help prevent ice buildup that could cause roof collapse among other major problems. During this time of the year, nursing homes tend to grow lonelier and lonelier. The holiday season tends to be the toughest, especially when it comes to fatalities in the nursing home. So, you might want to take some time out of your busy schedule to help out the elderly in your community. You can simply start by visiting the nursing home and spending time with those who might want to talk. You can also volunteer at the home to help with activities, cleaning, or even cooking. There is a lot to be done in such a place, so have fun with it. If you don’t want to volunteer then you might consider making crafted goods to help decorate the place over the festive season. Every little bit goes a long way. If you’re looking to broaden your horizons while helping out, then you’re in luck. There are actually a lot of abroad programs that can help you see the world while you help to make it a better place. One of the most popular programs is Peace Corp, which allows you to use the bachelor degree you’ve earned for the good of the world. If you can’t get into Peace Corp then don’t stress it. There’s lot of programs that allow you to spend time abroad and help farmers, educators and more. Some will even give you a small allowance, so you can enjoy your time abroad a bit more. Make sure to do a lot of research before you sign up for a program though, as there are many scams out there that can leave you in a lot of trouble. Most homes are filled with items they no longer need or want. This is pretty handy because the winter season tends to be a time when those in need could really use those items that are collecting dust in your home. So, you might want to go through your wardrobe and pull out things that aren’t doing you any good. You should especially concentrate on items like winter coats, thermal tops and anything else that might help keep someone warm if they’re spending a lot of time out on the streets. Another option is to have the kids go through their toys. Anything they no longer need can be donated to children that might not be getting holiday gifts. Apart from that, you should offer some of your canned goods and other food items to a food shelter. This will help feed families, particularly on the holidays. In today’s world of technology, we often go without actually communicating with one another. For some, this can create a very lonely experience. Particularly if they don’t have access to technology or already know every few people. Thus, one of the easiest ways to remedy this issue is to say hello to someone you don’t know. It doesn’t have to be any more than a smile and a hello either, unless you feel like engaging the person in a conversation. You never know, you might even want to ask to join the person for a meal if you find they are eating alone. Of course, you can also practice this with someone you know or someone you see often in the office or in school. You never know whose day you will be making by simply uttering a friendly greeting to them. Doing this may even help you break away from technology for a while, which can do you some good too. Writing letters isn’t a common practice these days, but you can really make someone feel special by doing this. If you want to do a good deed, then you might consider writing a letter of gratitude to those who help make the country a better place. You might start with writing to soldiers who are stationed away from their families or in danger zones. These letters will help keep up motivation and allow them to know that people are thinking about them and their sacrifice. Of course, you can also keep it local by writing thank you letters to police officers, firemen, nurses, EMTs and more. If you want to go the extra mile, then start working on your homemade holiday cards early. These can be used to share cheer and express your gratitude. The holiday season can be very depressing for those who feel as if life isn’t going their way. The prospect of spending time with family, or not being able to do so, can really transform the way people think and can leave them feeling hopeless. Thus, it is a great time to volunteer for a hotline. There are lots to choose from that can suit your interests and your desire to help those in need. Of course, suicide hotlines aren’t the only options to consider. You might also look into hotlines for domestic abuse, eating disorders and so on. If you’re not crazy about talking on the phone there are options for you to utilize too. For instance, there are hotlines that work with text messaging only. There are also so many online that can leave you feeling like you’ve made a difference. If you prefer face to face contact, then you might want to join a peer group at school or in your community. You will be surprised by how these groups are able to help so many. Although it might not seem to make as big of a difference as you think, spending time with your family can be one of the best ways to make a difference. Your immediate family is one of the best ways that you can make a difference in the world. Raising children to be kind to those around them, will help make sure the next generation turns out better than those before them. Of course, you should also consider the elders in your family, or those that might be lonely. The cold season is the perfect time to plan bonding experiences with those that you love. All in all, simply listening to the needs of your family and following their desires will help to make a difference during the month of kindness. The month of November is one of the best times to put your best foot forward. These ten tips are sure to help you find the best way to be a Good Samaritan and show your kindness to the world without spending a fortune. 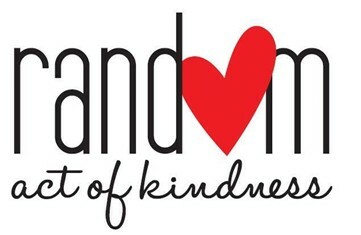 So, enjoy the month of kindness while you can, as next month begins the busy shopping season. This year, Sadie Hawkins day falls on November 13. This can be a fun time to reverse roles and have as much fun as the guys do when it comes to planning dates and more. Even if you already lead this role in life, it might be a bit of fun to celebrate the occasion when our ancestors were able to work up the courage to do the asking, instead of the receiving. You don’t have to spend a fortune to make Sadie Hawkins Day a lot of fun either. So, whether you’re proposing to the love of your life or you’re asking a boy to a dance, you may want to check out these frugal ideas. With these ten tips, you should have a great time while keeping your budget in mind. One of the best ways to ask a fun question is to make a scavenger hunt out of the deal. This is not only a great way to ask a guy to the Sadie Hawkins dance, but it can be a fun wedding proposal idea too. Scavenger hunts can be a whole lot of fun, especially if you add a few personal touches to increase their romantic vibe. If you’re in high school, one of the best ways to go about this is to leave clues in your potential dates locker. You can span this out a week if you’d like, or get the scavenger finished in one school day. You might even have friends help you with the clues to ensure your crush has the best possible time. If you’re proposing, then keep the clues fun and intriguing. Your future spouse might want to take time to figure out harder clues, so judge by their personality. At the end of the scavenger hunt, make sure you top things off with a huge finale. For instance, if you’re asking for a dance date then create a bright sign that features your dance tickets and the big question. If you’re proposing, then take a knee and present your groom to be with a ring. This way of celebrating the holiday can be entirely customized to your needs, so have fun with it. Giving gifts is often a tradition on Sadie Hawkins day, but this doesn’t mean you have to go all out if you plan on doing this. Instead of spending a lot of money, you might want to craft a gift instead. For instance, you can make a matching boutonniere and corsage to wear to the dance. This can be very simple and will allow you to provide your partner with something that he would typically have to buy for you. Food is another great gift, which you can make with your own two hands. Try baking something sweet to give when you ask your date to the dance. You can also invite him to a homemade dinner. This idea is particularly good for marriage proposals too and will allow you to create a romantic atmosphere that is almost free of distraction. Just like with any dance, Sadie Hawkins tends to require formal wear unless your school has other plans. This can be pretty pricey if you don’t have a budget to play with. Instead, you might want to consider making your own clothes for this dance. For starters, you can shop at the thrift store and make alterations to clothing for you and your date. Your unique style will certainly impress your friends and may even earn you a special title at the dance. You can also rework older clothing that might not fit any more or items that could use a small make over. If you’re really feeling ambitious, then you might want to check out clearance fabric to see if there is anything you can work with. You can also get really creative and come up with a whole wardrobe made completely out of duct tape. 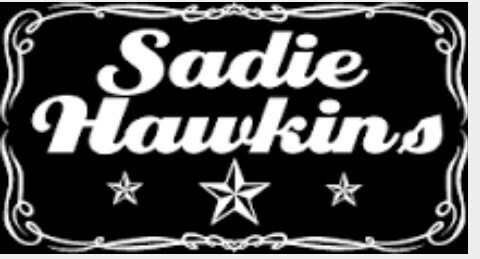 If you’re not really looking to make this date completely romantic, then going with a group can be one of the best ways to enjoy Sadie Hawkins. For starters, you may be able to get a deal on your tickets if you simply buy them in bulk from the school. It depends on the school though, so ask around before counting on this type of discount. Of course, if you’re looking for before or after dance fun then group deals are the best way to go. You might be able to find a Groupon or other group inspired coupon for activities or restaurants that will help make the day a lot of fun. You can also call up some restaurants and see if you can get a deal by making a group reservation. You will be surprised by how many places will work with you, especially on a dance night. One of the best ways to help save money, if you’re planning on going to the Sadie Hawkins dance, is to volunteer. Dances take a lot of work, so if you join the dance committee then you may be able to score free tickets to the event. Luckily, dance communities usually have a place for just about every talent, so you can probably find something you actually enjoy doing. For instance, most dances are entirely planned by students, so you can put your two cents in regarding theme and other important dance decisions. If you’re artistic then decorating for the dance is always an option too. Some students even help prepare the food and drink. So, check with your school about volunteering for free admission, if this is something that sounds up your alley. Putting your skills in the kitchen to work can make your Sadie Hawkins experience even more exciting. If you plan on proposing during Sadie Hawkins Day, then a home cooked meal can make a great statement. You can cook one of your partner’s favorite dishes or go all out and channel your inner gourmet chef. You can even use your cooking skills to hide the ring used for your proposal. Of course, if you are going to Sadie Hawkins then cooking can be a great way to enjoy the day. If you cook early, then you and your date or group can fill up so you won’t need to go out to eat later. You might also consider cooking a meal that is easy to reheat, so you can have the after party at your house. If you don’t want to go to great lengths, then cooking snacks is also a great way to make a statement. Proposing can be a bit awkward without a ring, but this doesn’t mean that you have to go out and spend a fortune on an engagement ring. In fact, most men don’t wear an engagement ring and many more wouldn’t if given the opportunity to. So, instead of spending a fortune on a ring, you might choose to offer up a cheaper token of your love. For instance, you can use string as a symbol for the ring, which will create a great story. Of course, there are many cheap rings on the market now. You may even be able to find a matching set for less money than you’d think. Sometimes, going formal isn’t the wisest options when you are going to a Sadie Hawkins dance. Generally, not all schools tend to go with a formal requirement for such an occasion. So, you might want to check in on the theme and go from there. More often than not, it is cheaper to come up with a costume to pair with a theme then attire for the occasion. For instance, if there is a Hawaiian theme, you can come up with a costume from thrift shop finds and more to ensure you look great and have fun on a budget. If you are looking forward to the Sadie Hawkins dance, but don’t want to spend a fortune on things later on, then you may want to consider being an early bird. A lot of restaurants will give you an early bird special, so you can eat before dancing at a price that is a fraction of what you would pay after the dance is over. You might also consider staying at the dance for a short while then going to grab some food. Another great option is to have your party prior to the dance. You can find discounts on food for everyone to have a great snack before dancing. Not to mention, some entertainment, like DJs, won’t cost as much. If you’re proposing, then this works out in your favor too. Restaurants are less crowded during early hours and the food will cost less. This is sure to make your special moment even more rewarding. A lot of people make a huge deal out of the invitation portion of the dance. However, you really don’t have to go out of your way in order to make this aspect of your dance proposal look amazing. For starters, you can print out an invitation or make one with craft supplies. Then simply place it in your potential date’s locker. This can add a fun element to the process and will cost you next to nothing. You may even look online for ideas as there are so many fun things to choose from or print out that the only thing you’ll lose out on is time. Sadie Hawkins Day is a great way to mix things up and show your courage when it comes to romance. Of course, the day can simply be for fun too. So, don’t let your budget stand in the way as there are lots of things that you can do to have an extra special Sadie Hawkins Day that will save you money and encourage you to have extra fun. The cold months certainly leave much to be desired when it comes to your home decor. There is nothing like walking into a warm home after spending a day out in the cold. Of course, planning out a warm home is a totally different story. A lot of people will spend a small fortune on decor to make their home feel this way when there really is no reason to do this. These ten little tips will help your home feel warmer than ever without forcing you to spend a small fortune to redesign for the next few months. So, don’t leave your home feeling stark and uncomfortable, when you brighten things up in just a few minutes. You may even have your friends a little jealous after implementing some of these tips. During the winter months, sunlight is one of the best ways to help you feel warmer and more comfortable in your own home. So, you might want to ditch all of the curtains and blinds that you have blocking out the light. This doesn’t mean that you have to put these items up. Instead, consider tying back the curtains and raising the blinds so that the warm sunlight can flood into the house. This will not only look warmer, but will help your home heat up so you don’t have to waste as much money on energy costs. If you like to keep your curtains closed, then you might want to make or buy some sheer or light-colored curtains. This will help the light come through with ease, but will also give you the privacy you desire. If you add decor to the top of the window, like a valance or even custom garland, you will also make the windows a focal point which is certain to warm up the space. One of the easiest ways to make your home feel warm is simply add some >warm colors to the mix. If you’re feeling ambitious, then adding a coat of paint to a room can be one of the best ways to have some fun with the home. Of course, you don’t have to paint the whole room as an accent wall can go a long way. Luckily, during this time of the year, paint tends to be on sale. So, if you’re willing to put in your own elbow grease then this is a good way to warm up the place. An easier way to go about things is to simply add warm accents. For instance, you can cover some of your living room pillows with warm colors to help add comfort to the home. You might even add autumn inspired decor to help warm up the area, especially if the items show off warmer colors. If you don’t want to spend a dime on making your home feel comfortable then one of the best ways to do this is to place blankets around the house. The image of a blanket automatically brings comfort to the home, which will make your guests feel like they are welcome whenever they stop by. Best of all, when you have blankets folded up and draped around the home then you have easy access to them for reading marathons or binge watching TV. One of the best ways to maximize the warmth is to display items like knit blankets and quilts. These can be made at home too, which will add even more savings to your budget. One of the major reasons why the home feels stale and uninspiring during the winter months is the lights tend to keep the home feeling dim. Often, homes still use lights that leave the home looking yellow, which can really cut down on the mood. If you change your bulbs to energy efficient bulbs, then you’re certain to get a white light that will make you feel as if you’re getting natural light from outside. You might also consider getting some UV lights. This can help >combat symptoms of seasonal defective disorder. You might even feel a bit livelier with a UV light going. Unfortunately, these are a bit more expensive than normal bulbs, but if you do need them for a medical reason insurance might cover some of the costs for you. If you have a lot of metal in your home, then switching to brass will give the home a little extra warmth as well as a fun vintage look. Brass is very trendy this year, so you might even find decor items to suit your new favorite inspiration. You can easily buy stains and paints that can turn just about anything into the home into an item that >appears to be brass. Best of all, some of these paints can even be cleared up later so that you can use other decor for the home. Brass is a metal that can be used all year long too, so if you’re not dedicated to changing things up every season then this metal will certainly look good for quite some time. Another easy way to make the home look a lot warmer is to add some artwork to the mix. This is easy to transition between the seasons too, so you won’t lose out on money. You have a lot of options when it comes to this too. For instance, you can actually put up pictures of cozy winter scenes or autumn moments. However, you could also just stick with warm colors if you love abstract images or simple colors. You can usually find these works of art for cheap online, but you might also shop at thrift stores or yard sales to see if there is anything that looks good to you. With the artwork up, your home will look more charming and inviting. If you have a fireplace, then you already have one of the best decorations for the cold months. So, if you can, try to bring attention to it. Usually, a roaring fire is one of the best ways to do this, but you can also add some decor to the mantle to give it pizzazz even when it’s not in use. There are mantle pieces, garland and other simple designs to consider when it comes to the fireplace. Of course, if you don’t have a fireplace then you still have options. For instance, you can buy a digital fireplace that can be used as a TV stand or a shelf for some of your decor. If you’re not interested in an expensive purchase, then you can use the fireplace as a screen saver on many smart TVs and computers. Although flowers aren’t necessarily in season, you can still find them all year long. Autumn flowers can really make a difference in the home without forcing you to spend a lot of money. You can find these in local stores or grow them yourself. Adding the fresh flowers will bring life to the room, even as the weather begins to chill. You don’t have to keep things fresh to make the room feel comfortable though. Rather, you might try to use fake flowers to create the same effect. Flowers like sunflowers can really help keep the home feeling warm and cozy. You might also look into using flowers that follow a red, yellow, orange or brown theme. Being a bookworm can really pay off during the cold months. Books actually make the perfect decor item when the weather is blustery. So, don’t be afraid to pull your books out for display. You might even want to bring out the books that have covers that feature warm colors. Of course, hard covers also look amazing when displayed. You can find many of these in thrift stores if you’re simply looking for a display item rather than something to read. You might also find some great hard backs to read too though, so shop around until you find what you want. With books around the house, your home will have a charming feel that will make others want to stop by just to bury their nose in a book. If you love the winter look all year long, then you might want to consider bringing more wood styles into the home. More often than not, this will give the home a more southern style or a log cabin look, both of which can be very cozy. Of course, you don’t have to do a full makeover to add this style to your home. Instead, you can easily make your own wooden accents or decor items for your home. These items can be whittled, made in a shop or even glued. You can really have a lot of fun with it too. There are plenty of these items on the market too, so you can choose anything that suits your home and personality. 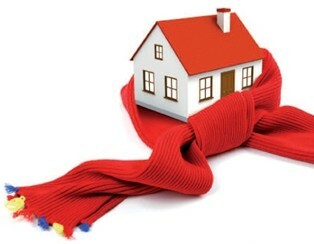 Making your home feel warm during the cold months can really change the way you live your life. These ten tips will bring you lots of joy as you navigate through the cold and find a new way to enjoy comfort in your home. With these ideas, you shouldn’t have to spend much to give your home a cozy new makeover. If you’re a veteran, then you may be looking for a few ways to celebrate your special day without forcing you to have to travel great distances or spend a lot of money to enjoy the special day. Luckily, there’s lots of things you can do to get more out of your holiday, as many people will be celebrating your service. So, if you’re looking for something to do you won’t have to look too far thanks to this list. You’ll love some of these amazing tips they will help you enjoy celebrating your service while ensuring you get to enjoy a few treats too. Most veterans enjoy the free food element of the holiday the most. Plenty of restaurants go out of their way to make sure veterans, whether active or not, get a hot and delicious meal. If you plan accordingly, you may even be able to cover breakfast, lunch and dinner. Usually, chains like Denny’s, Cotton Patch Café and Cracker Barrell offer a free dish to any veteran that comes in. Some buffet chains, like Cici’s Pizza will also offer you a deal on the big day. Of course, you don’t have to stick to eating on Veteran’s Day as some restaurants even extend days that the deal is offered for veterans who may not want to deal with crowds. Your local restaurants may also be more apt to offer free meals too, so check around in your area. Some restaurants will ask for proof of your service, while others will simply give you the meal. So, you might bring a memento to be safe. On Veteran’s Day, a lot of stores will give major discounts on military merchandise. So, this might be one of the best times to boost your collection. A lot of non-affiliated stores use this holiday as a time to help them get rid of their military stock. However, you may have to prove that you’re actually a veteran if you want to enjoy the special savings. You might also be given a special code to use for certain stores if you’re in a veteran group. Apart from that, many military stores will host sales to help boost sales before the holidays. However, unless you’re retired or an active member you may not be able to access this merchandise. A lot of cities love to honor veterans with their very own parade. This parade may not be as large scale as some of the of the parades you’re used to. However, you should be able to find one in your community or at least in a nearby community. More often than not, these parades feature veterans marching as well as military inspired bands. You may even look into marching in the parade if you enjoy doing such a thing. Of course, if there isn’t anything in your area then you can always check out parades online. Most cities will do a live feed as well as footage after the parade, so you can check out the beautiful sight whenever it is convenient for you. One of the best things to do for Veterans Day is to hang out with your fellow veterans at the VA. The Veterans Affairs program tries to open up a VA center in every community, so that veterans can have a place to go to enjoy one another’s company and seek help in tasks like finding jobs and assistance programs. Usually, the VA has games set up, plenty of people to talk to and a place to grab food and a drink. This might be the perfect place to gather, especially if you want to share your service story while listening to others. On Veterans Day, you may even be able to get a free drink to help make the day even more special. 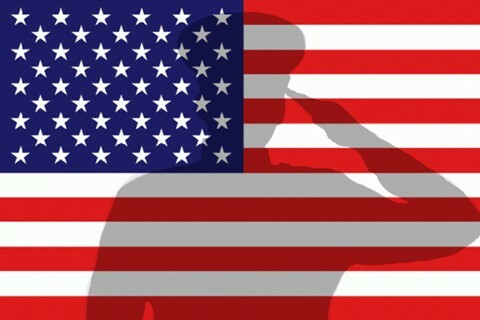 If you’re not sure where your local VA building is, then hop online and search or talk to other veterans in your area. You may even make a few new friends and find a new permanent hang out while celebrating the day. If you’re a veteran that can’t get enough sports in your life, then you’re probably in for some real treats on Veteran Day. Typically, many venues will actually discount prices on sporting events, so you can get more out of the day. For instance, if you like to golf or bowl then you might see what venues are offering discounts. Some may even offer a free round or unlimited play, so make sure to take them up on the offer and have some fun. If playing sports isn’t exactly up your alley, then you might be able to find cheap prices on professional events. Many teams will offer major discounts or even free tickets for veterans. Apart from that, many communities will put together free games for veterans to participate in. This can be a great way to show off your competitive side while enjoying your favorite sport with others that have served. One of the best ways to support your fellow veterans is to clean up cemeteries that have veterans at rest. This might not sound like a great way to celebrate your service, but it will help celebrate those who are no longer with us, which is very honorable. You might also find this to be one of the best ways to get meaning out of the day, especially if you have lost a veteran in your life. Cemeteries tend to end up getting overgrown and litter often piles up. So, you might want to clean out old or dead flowers, pick up trash and dust off the headstones and grave markers. You can also leave behind little flags to show your support for their service. After doing this, you are sure to feel like you continued your service. You might be surprised by the amount of benefit concerts that are hosted on Veterans Day. Many musicians want to show their support for those that serve or have served before. Many musicians try to head overseas to perform for soldiers that are deployed. However, you will still find plenty of concerts nearby too. If you live near a base, then you will most likely find a concert to attend. However, if you don’t you may not have as much luck. You should still look around and see if local bands are hosting an event though. Apart from that, you should also tune in online or on TV to see which concerts you can see. You may find some of your favorite musicians are honoring you if you look hard enough to find the concert. Being in the military often meant keeping your hair neat and tidy. In the civilian world, there aren’t as many restraints on this. However, on Veterans Day, many shops would love to honor you with a free hair cut. Many chains will run this promotion on the day of the holiday, so you might want to head to your shop of choice early, so you don’t have to wait in line. You might call to see if your shop is offering the free haircut too, as some shops won’t participate in the promotion. Local barber shops and beauty salons may also participate, so don’t disregard then before asking. This promotion will help you with job interviews, family portraits and other aspects of life that will give you confidence and make you feel like your service was appreciated. Best of all, you can choose whichever haircut you like, which is something you couldn’t do while serving. Veterans Day tends to be one of the best times for an air show. These shows often accompany fall festivals too, so if you’re looking for a show in your area then this might be the perfect place to start. Some of the top-flight teams love to take to the sky for Veterans Day to show off their moves in appreciation of those that have served. Usually, the teams will have information on their websites as to where they will be performing. So, you can easily find a show near you this way too. If you don’t have a show in your area, then don’t give up hope. There are lots of shows you can watch online and some will even be broadcasted on TV. If you’re bored and looking for something to do, then there might be plenty of things in your neck of the woods to check out. A lot of theaters will actually drop the price on their tickets for veterans on the day, so that you can check out the best blockbusters of the season. If movies aren’t your thing then you can still check out classic theater productions at a reduced price. Some theaters will even put on military themed productions during this time. Another major source of entertainment that tends to honor veterans is museums. Whether they are military themed or simply artistic, you should be able to view with pleasure. If you live in a warmer area of the country, then you might also be able to get a reduced price on beach parking and other warm weather events. If you’re unsure where to start, then look on your favorite military website to see what is in store for your special day. Veterans Day is the perfect time for veterans to celebrate their service and have a little fun. These ten ideas should help you plan an amazing day that will help you feel appreciated for your service. So, enjoy yourself a little without spending a bundle.